On the second half of our trip to California we stayed in Sonoma County with our lovely friend and Jewelry artist Michelle Hoting. She treated us to a trip to Quivira Vineyards and Winery. 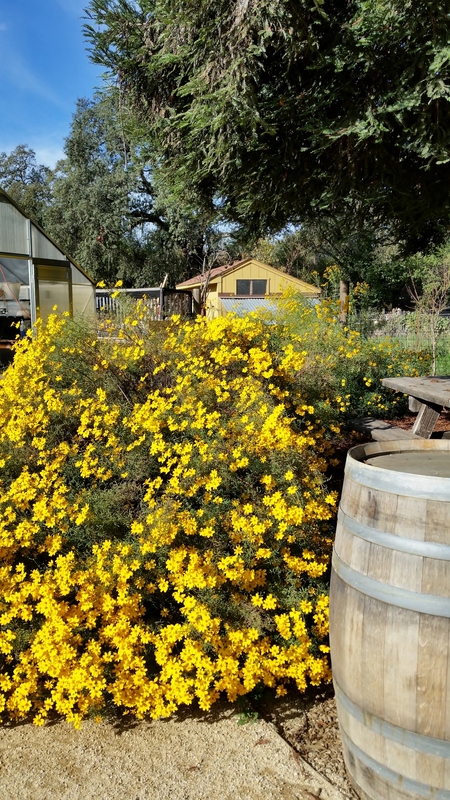 A vineyard that uses biodynamic principles <(great explanation from their website)and sustainable practices in growing their grapes. We started in the wine room with a tasting. My favorite was a 2012 Grenache, under the label Dry Creek Valley. I love the description, “A Rhone for Pinot lovers. A deep core of red fruits on the nose fresh and dried strawberry are prevalent on the palate, Grilled lamb and Veal Provencal is a perfect paring” We bought a bottle of a delicious Viognier and borrowed some glasses and sipped as we toured the vineyard. There was a map and trails with signs posted to give you information. 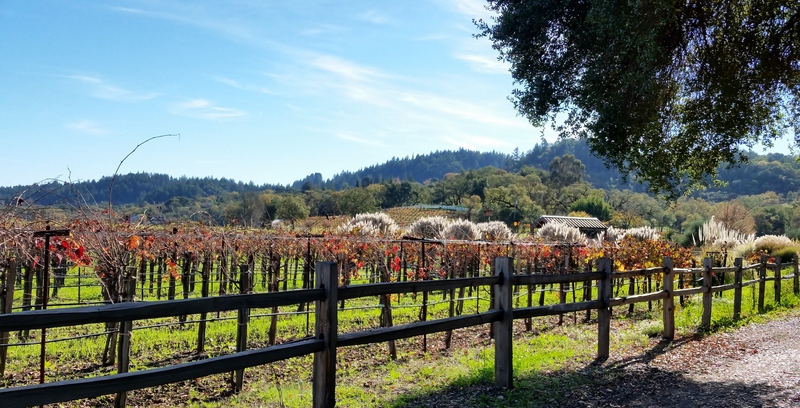 The first sign we came to talked about Viticulture – “Searching for the ideal balance between vine and vineyard, we use many different types of trellising, chosen based on the varietal, the soil type of the vineyard block and perhaps most importantly, sun exposure. 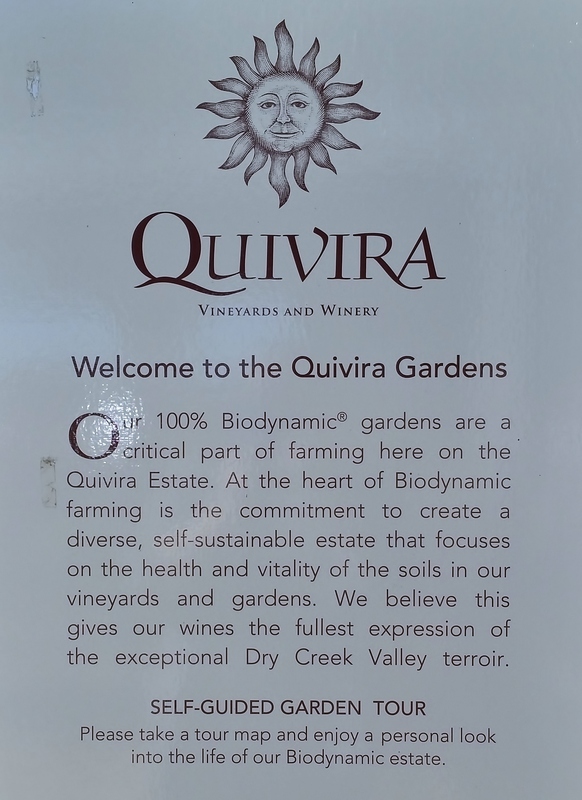 Here on our Biodynmically –farmed estate, we grow Zinfandel, Sauvignon Blanc and Rhone varietals.” The brochure says that Quivira is committed to making crafted wines that set the benchmark in the Dry Creek Valley. 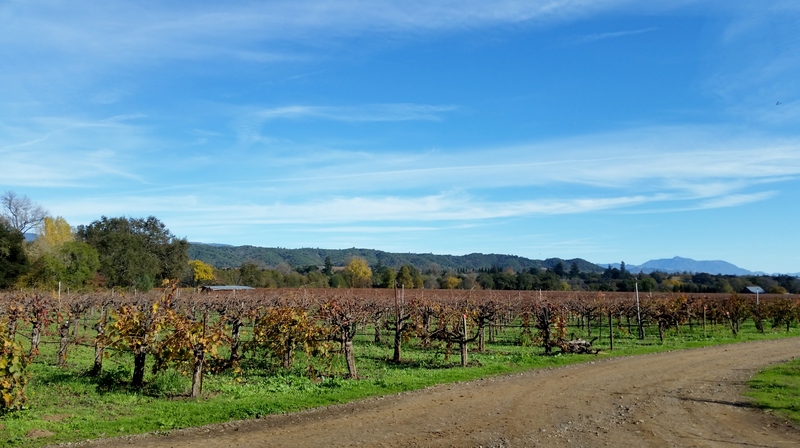 This is a family owned vineyard that grow their own grapes on the vineyards and in a fashion that is mindful of the land and their stewardship of it. I read more about this when I got back home. 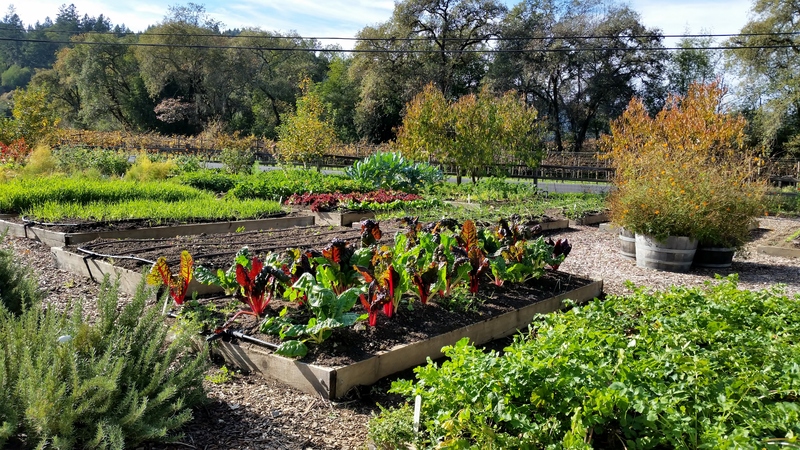 Since 1998 they have been engaged in a number of conservation projects to help restore the over all health of the estate using low impact sustainable farming practices. 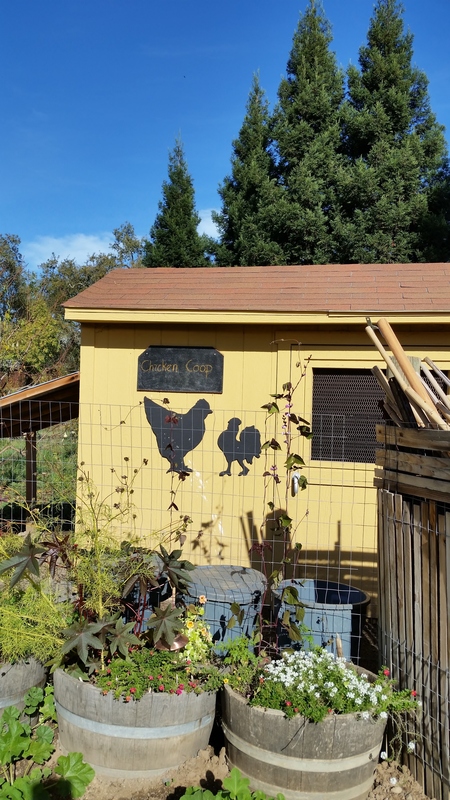 On their website it says “To continue growing exceptional grapes year after year, we must strike a balance with our surroundings – the creek, the river, the neighbors and the animals. This can only be done by taking care of the land.” We found that they are in the process of restoring the creek beds. The vineyard is located at the junction of Grape Creek and Dry Creek. Over time these creeks have shaped the Dry Creek Valley and provided the rich soil for growing all the variety of crops. The creeks are also the home of Coho and Chinook salmon and steelhead which are endangered in the region. 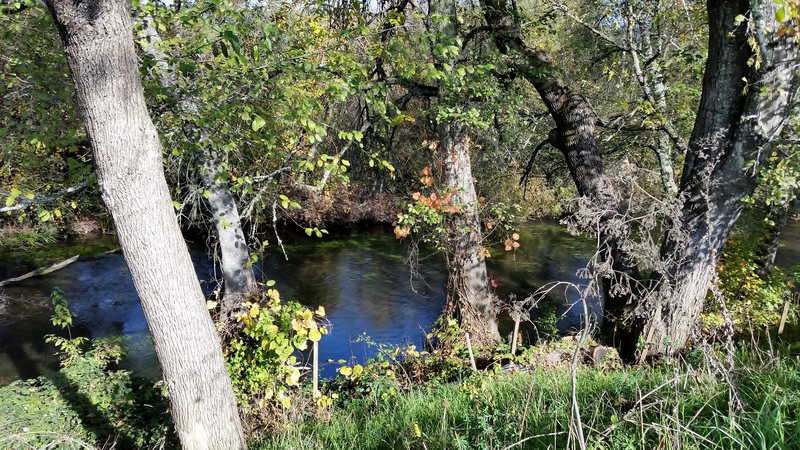 Quivira has been working on restoring the habitat on Grape Creek to allow the fish to migrate upstream to their original spawning grounds. 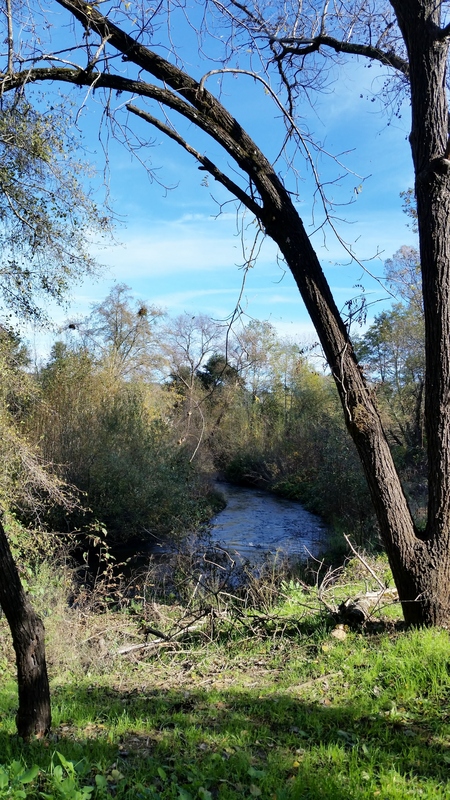 Starting in 2012 in conjunction with the Sonoma County Water Agency they are working to restore Dry Creek, one of the largest creeks in the Russian River watershed. They are placing logs and boulders to help slow the water and provide hiding places for young coho and steelhead. For more information on their restoration projects click here. We could see fish swimming and hiding among the logs. 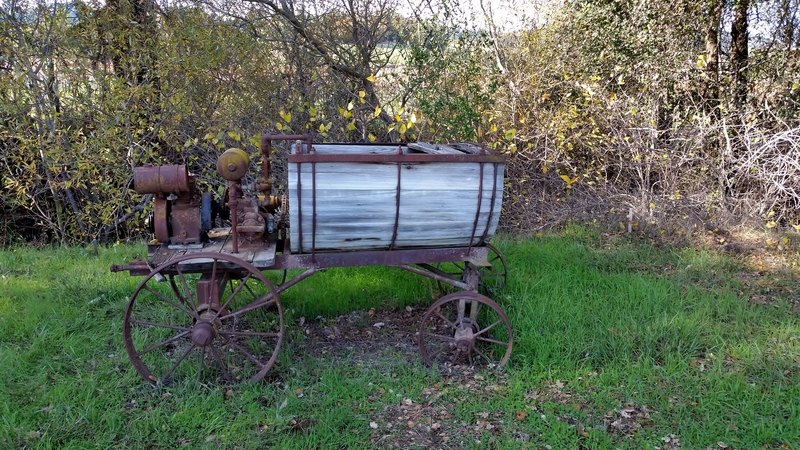 Along the path we came across old wine making equipment. 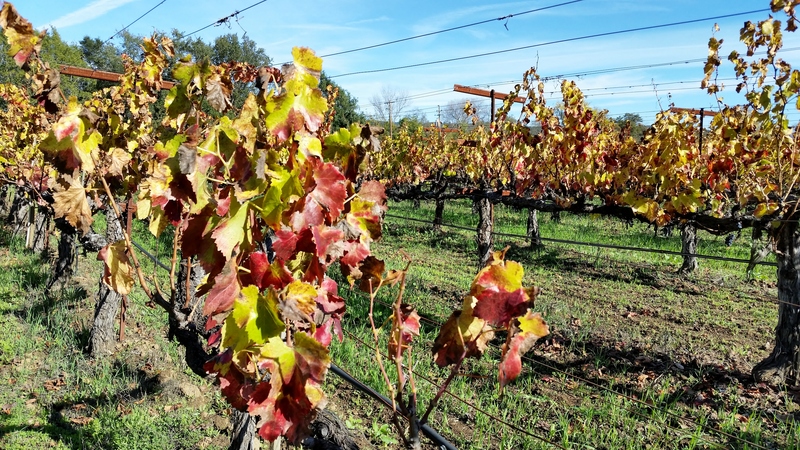 The grape leaves had begun to turn lovely shades of yellow, rust and red. The light and shadows of these dried grapes caught my eye. The layers in the scenery with hills in the background were stunningly beautiful. On the way back from the vineyards we headed over to the gardens. There is a large pergola and picnic tables here where you can sit and enjoy the scenery. I was impressed that they had signs to help educate and share their mission. 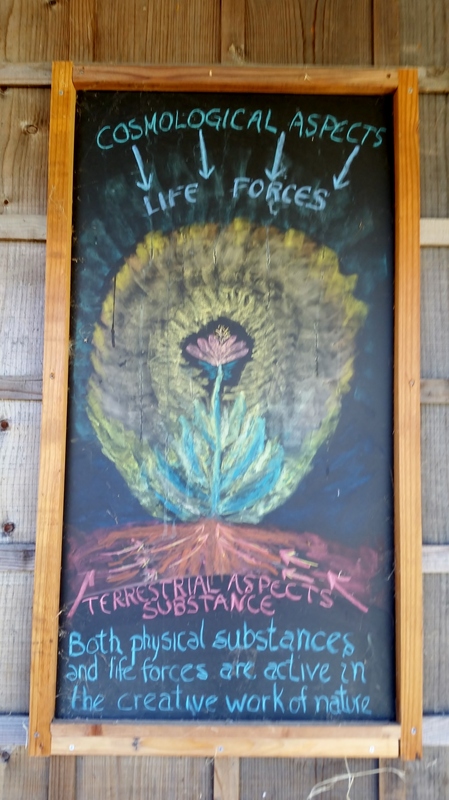 There were these lovely chalk boards near the green house with quotes. It says, “Our lovely planet receives life by belonging to a solar and stellar system. We must inquire about the affinities expressed through these rhythms, as plants, and every living organism is an energetic matrix of force. Understanding this is what scientists must undertake. Biodynamic agriculture creates a link with these matrices. 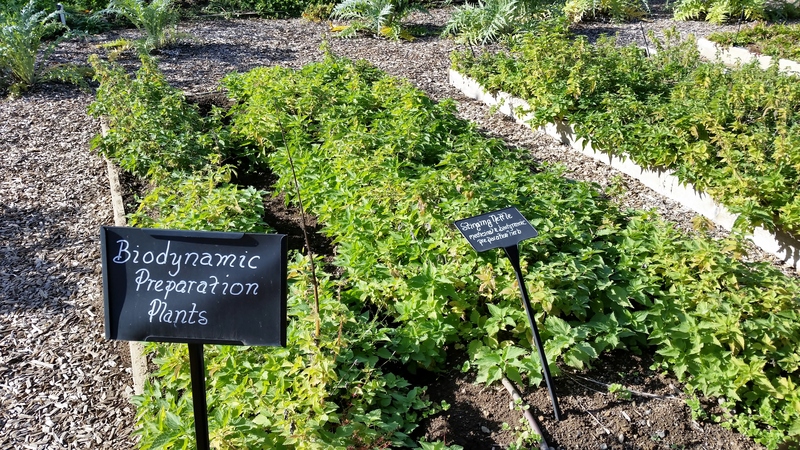 Biodynamic acts on the level of energy. 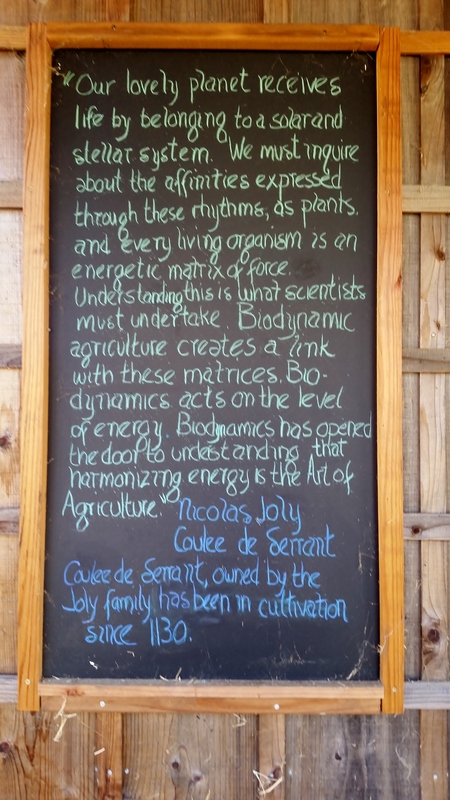 Biodynamic has opened the door to understanding that harmonizing energy is the Art of Agriculture.” Nicolas Joly Coulee de Serrant. Coulee de Serannt, owned by the Joly family has been in clutivation since 1130. The days was warm for November with just the perfect mild breeze and the sky was such a deep blue it was incredible. 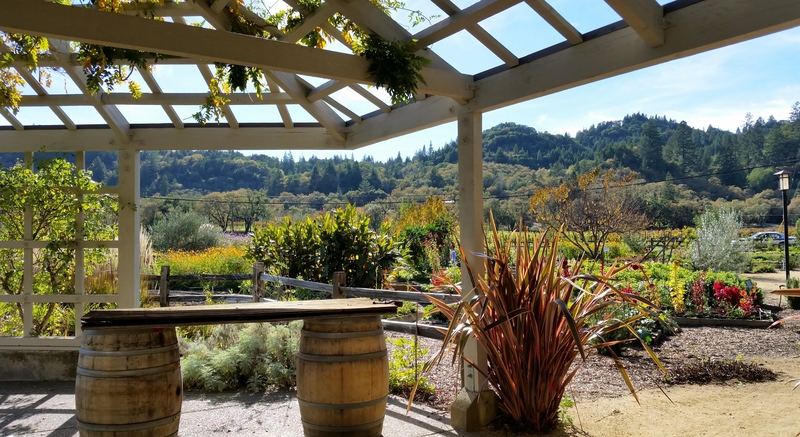 Sonoma is a very beautiful part of the world with a Mediterranean climate consisting of hot, dry summers with cool comfortably nights and cool, wet winters. The valleys and differing proximity to the mountains or ocean creates many micro-climates in the county. According to the USDA Plant Hardiness Zone map they are zone 9b in Dry Creek valley. I think having a little farm here would be heaven. I do know that the area that is now called Sonoma County has a long history of human settlements. Between 8000 and 5000 BC the Pomo, Coast Miwok and Wappo peoples had settlements in this rich valley with plentiful wildlife, acorns and water sources. Evidence of their existence are from numerous rock carvings in the souther part of the valley. 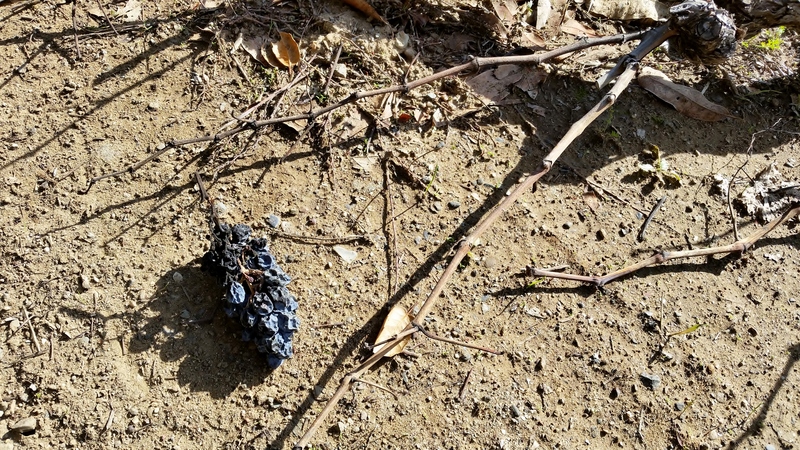 Before the California Gold rush of 1849 Russian fur trappers and Spanish ranchers made settlements in this area they were the first to grow grapes in the area. The gold rush brought an influx of Europeans that set up lumber mills and farms to support the growing population of what became part of the United States in 1850.